Sunday's San Marino Grand Prix turned into a lottery with Valentino Rossi eventually extending his title lead over Jorge Lorenzo to 23 points. Having fought back to the front of the lead group as rain started to fall Rossi was almost left in tears when the second round of pitstops came around after leaving it too late to switch back to slicks. "I changed to slicks again and at the end I finished fifth," said Rossi. "I wanted to cry for sure! I hoped for a better result, also because I have a good potential in the dry and the wet. I know that if you pit earlier it is better for the result, but more risky. Two laps before I wanted to stop but it was still raining a little on the back straight and I thought if I stop and it starts to rain more, for me the result would be very bad. Also I check a little bit and Jorge was still behind me, so I decide to continue. I stayed out a little bit too much and I lost time during the next two laps." 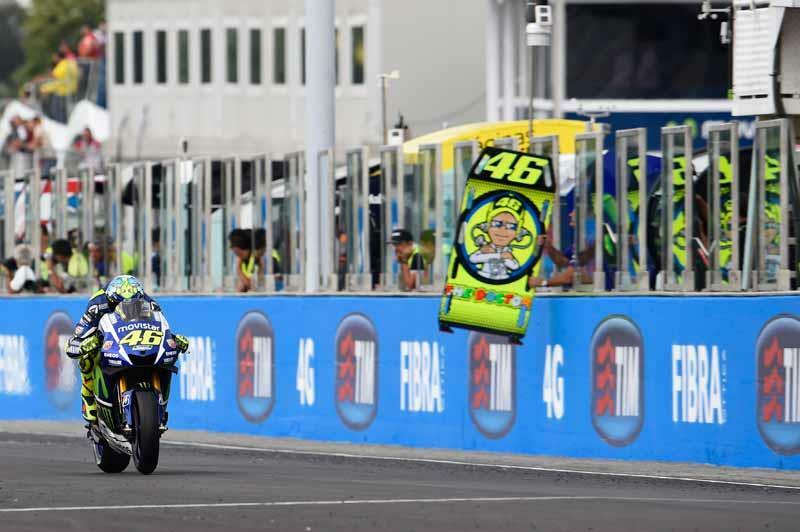 Afterwards Rossi was also able to admit that despite having the pace to win it would have been very difficult for him to justify taking the types of risks that were rewarded with podium finishes by Bradley Smith and Scott Redding. “I don't think I could have won, because to win today you have to have your mind free from the championship and take risks, especially with slicks on a drying track. Maybe I could have arrived on the podium or in front of Baz. So third or fourth instead of fifth. The people who finished in front of me had nothing to lose."